Regular readers will know that All Things Jabu is a blog dedicated to all sports in South Africa with a special attention given to some of our smaller sporting codes in South Africa. You will also know that with the Olympics just around the corner, we are more excited than a kid in a candy store. 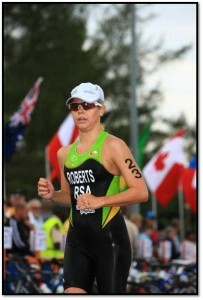 We came across Kate Roberts in our studying of the Olympics, and realised what a champion she is. She will be heading to the Olympics for the second time and has a great outside chance of a medal at the Games. We sat down with Kate and chatted about the pending event. 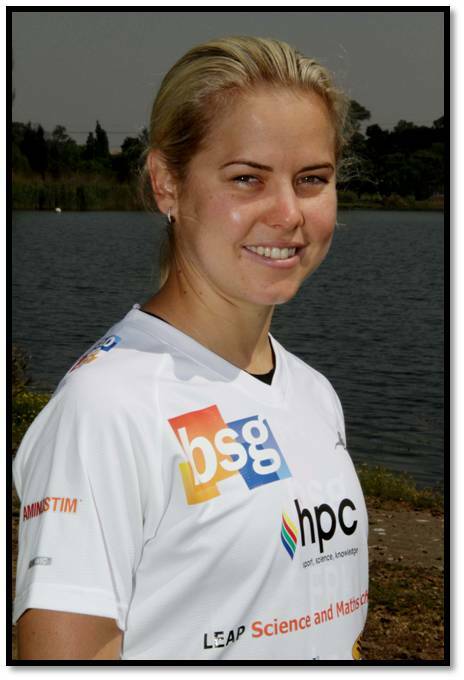 All Things Jabu (ATJ): Hi Kate, firstly congratulations for qualifying for the London Olympics, is this the proudest moment of your career? Kate Roberts (KR): Thank you. 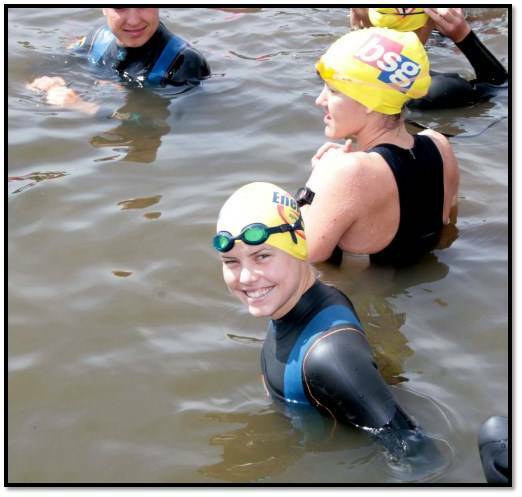 Yes, I would say that qualifying for my second Olympics is indeed the proudest moment of my triathlon career. ATJ: This is your second Olympics; do you think that is a benefit to you? KR: Yes, definitely, as now I will know exactly what to expect in London and how to deal with the pressure of an Olympic Games. It is unlike any other competition one will ever experience but the key is to treat it like any other race. ATJ: Do you have any hope for representing South Africa at the 2016 games in what would be your third Olympics? KR: It is indeed a great honour to represent South Africa at an Olympic Games and I believe if I remain motivated during the next 4 years, then I can be on the start line in Rio in 2016. 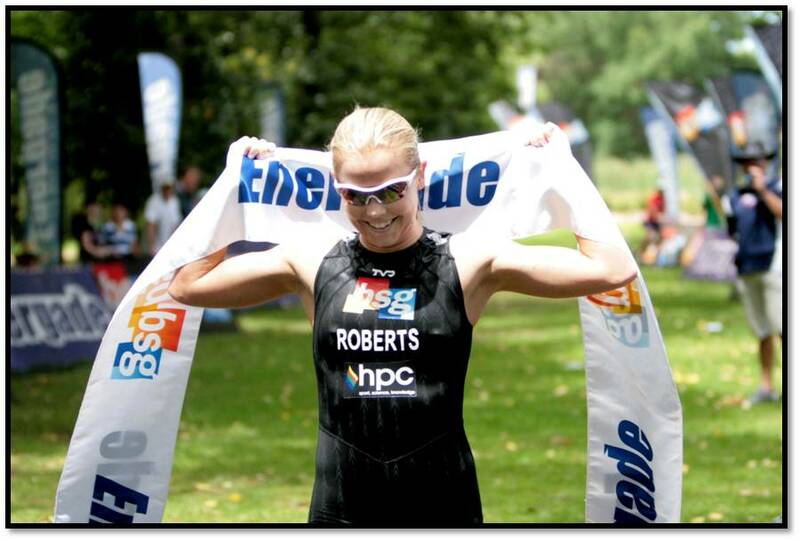 I have dedicated myself 110% over the past 4 years to get the best result I can in London, so after my race, I plan to have a well-deserved break and then decide what life holds for Kate Roberts thereafter. I would however, like to set new goals and challenges for myself outside the sport of triathlon and I am pretty excited about it. ATJ: Whatever you decide to do, you can count on the backing of All Things Jabu. Moving onto your preparation, how much time do you spend training in a week? KR: To be honest it feels like I’m focussed and fully committed to triathlon 24 hours a day.. Once, I break down swimming, cycling, running, gym work and other technical drills it ends up working out to around 30 hours a week of physical activity. ATJ: Having achieved so much already. What has been the highlight of your sporting career so far? KR: Representing South Africa at an Olympic Games, Commonwealth Games and World Championships are very special moments but for those days where you can remember that everything just clicked and fell into place and your mindset was perfect. My 4th place at the Hamburg World Championships Series in 2010 was that day for me and I hope to simulate that race in London on 4 August but obviously a few places higher in the field would be the perfect scenario. ATJ: Triathlon is a multi-faceted sport, which of the three disciplines do you like the most and which do you like the least? KR: I started running and swimming at a young age and only later did I develop my cycling skills when I started triathlon at the age of 17. I would be lying if I told you that cycling is my favourite discipline, as it is unfortunately not. 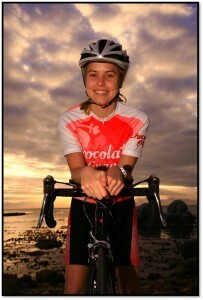 I have just never felt as comfortable on a bike as I do in my running shoes and in the swimming pool. But who knows maybe one day in my lifetime I will learn to love the bike. Running is definitely my favourite discipline and one of my goals post triathlon is to compete in the Comrades marathon. ATJ: If you could give young South Africans one piece of advice on making a national sports discipline, what would it be? KR: Do what you love and the rest will follow, as the main thing whilst you are young, fit and healthy is to never forget to enjoy yourself. Take into account that great love and great achievement, involve great risk. Always believe in yourself and have faith in your abilities. Without a humble but reasonable confidence in your own powers you cannot be successful. 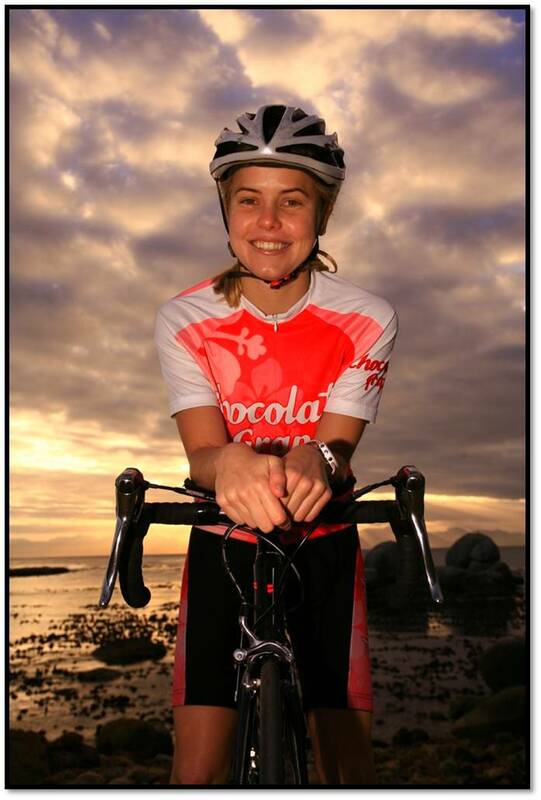 ATJ: With Triathlon not being one of our biggest sports in South Africa, do you have a lot of support from sponsors? KR: I have been very fortunate to be backed by my title sponsor BSG (Business Systems Group) during my Olympic campaign during the past 3 years and without their help and support, it definitely would have made the qualification process a lot more of a challenge for me. A big thank you must go to them for unlocking my potential and accelerating my performance towards the London 2012 Olympic Games. ATJ: Who are you most excited about meeting at the London games? ATJ: Which other South Africans do you think are our biggest medal hopes? KR: SASCOC have said they hope to win 12 medals in London and I believe that those 12 medal hopefuls certainly can do it for South Africa! But if I have to go with our biggest medal hopefuls, I would say that Barry Stander is our best bet for gold in the men’s mountain biking along with Cameron van der Burgh in the men’s 100m breaststroke. LJ van Zyl can definitely grab one of those medals in the 400m hurdles as well as Caster Semenya in the women’s 800m. It would also be very exciting to see our athletics 4 x 400m men’s relay team, with our golden boy Oscar Pistorius winning a medal. I think we all need to give these athletes some extra deafening cheers and Saffa support! ATJ: I can promise we will definitely be backing you and the rest of the team in London! All Things Jabu is a supporter of all sports, baring this in mind, which other sports do you like to watch? KR: I love watching most other sports but being proudly South African I am indeed a massive Rugby, cricket and soccer supporter. Obviously athletics, swimming and cycling are sports that I love to watch too. Tennis features prominently in my world during the Grand slam tournaments and I also enjoy supporting South Africa’s world class golfers during the major golf championships. ATJ: As you are from Bloemfontein, are you a Cheetahs supporter? KR: Yes, I am indeed a very proud Free State Cheetah supporter and nothing makes me happier than coming home and supporting my Cheetah’s at home game in the Free State stadium. ATJ: We are Cheetahs fans too! And importantly, where can our readers find out more about you? 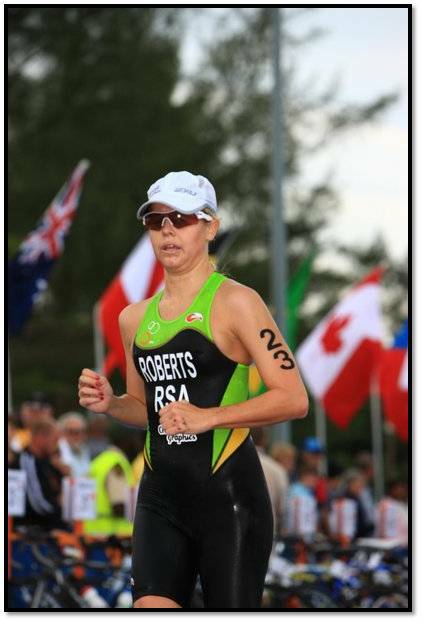 KR: I do have a website www.kateroberts.com but other than that I am really a fun girl who is passionate about triathlon, proudly South African and unfortunately enjoys too many cups of coffee and slices of biltong. My Family always comes first and I hope to be the best sister and daughter I can possible be to them. I am dedicated to excellence and expect that from myself those around me. I believe that we are all masters of our own destiny and great things happen to those people who make great things happen to themselves.” “Make it Happen Katie.” I honestly say this to myself before every race, every tough training session and pretty much any challenge I face in my life. At the end of the day, it really is up to me! ATJ: Thank you so much for the time Kate, good luck for the games! We will be with South Africa behind you all the way! KR: No, thank you Jabu and I am excited to make you all proud when I race my heart out in Hyde Park, London on the 4 August 10am South African time! Kate finished 24th in the triathlon on Saturday morning.